The world of firearms has many different aspects. For many sports shooters and hunters, soldiers, and police officers, there is a definite need for the presence of the bullet holder among their standard equipment. Bullet holders come in many types and varieties and can hold bullets for handguns, shotguns, and rifles in various capacities. They can hold just a few rounds or a large supply. Bullet holders are used on firing ranges, in the bush or field when hunting, and on the battlefield or patrol. Bullet holders have a long history. One of the most notable forms of bullet holder is the bandolier, which was used by many revolutionary forces in history. Still used today, this bullet holder would criss-cross the chest area and hold many rounds of ammunition. It is suitable for many combat situations. Most modern hunting or sports shooters use smaller bags, pouches, or other types of bullet holders. They’re not as extravagant as the bandolier and are very effective in supplying ammo when needed. Makers of bullet holders use a variety of materials. They fit onto clothing, guns, or are stand-alone for carrying. 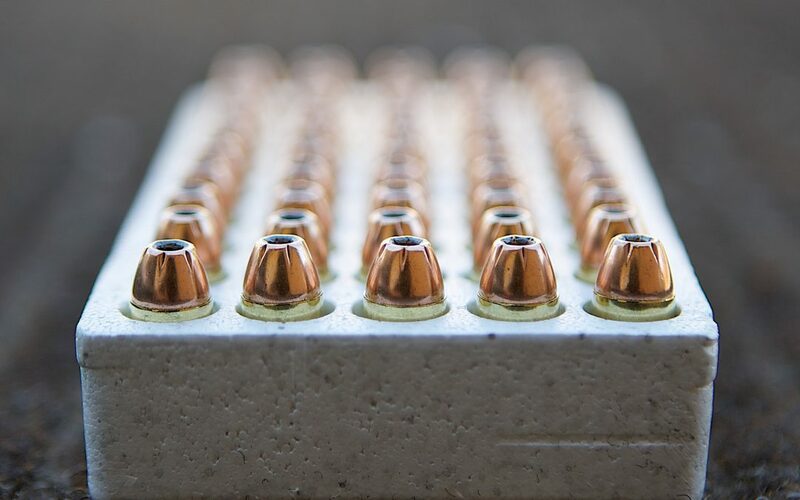 When shooters go to make their shot, ample supplies of bullet rounds are necessary to shoot at targets or hunt effectively. Soldiers and police officers get in combat or situations which require rapid reloading of firearms in a timely, efficient manner. Some of the different bullet holders available for sportsmen and women have a variety of different features. Some of the types of models and features you will commonly find are listed here for your convenience. These bullet holders are mounted on the buttstocks of shotguns and rifles and will fit varying numbers of bullets securely. Ranging from 4 to 10 rounds of ammunition, they fit all shotgun, rifle, and handgun ammunition types, typically. Although some models are suited best for certain ammo only. Sometimes these bullet holders are waterproof. Manufacturers use leather, plastic, cloth, rubber, and other materials to make different varieties. This form of bullet holder makes it easy to access bullets during use. This type of bullet holder is quite common, and these belt models feature easy access to a larger supply of bullets. Manufacturers use many different materials. You can use it as a shotgun shell holder or for rifle rounds. Open style or closed-case, people use the belt carriers because they are convenient and won’t easily spill bullets. You can use ammo bags in many situations, but they are not as portable and maneuverable as other bullet holders. In situations where quick action needs to take place, such as hunting, you might want to choose a different bullet holder. These are fine for sports shooting events and come in various sizes to hold large amounts of ammo for continuous shooting. These pouches usually hold just a few rounds of ammunition. Uses for this type of arrangement include some hunting or home defense purposes. The use of ammo pouches is for short term situations where you only need a few bullets at a time. For those who use a lot of shotgun shells, such as some hunters and clay shooters, the shotgun shell pouch is an ideal way to carry ammo. They are useful when you are using your firearm for an extended period of time. These pouches also come in a wide variety of materials and can be open or closed. If you use firearms casually, you may not need a bullet holder. But if you are a more serious hunter or a professional, you may want to add them to your arsenal of weapons supplies. It enables you to shoot, hunt, or protect more effectively. Start by evaluating needs you have for the weapons you use and determine which bullet holders would work well with them. If you need waterproof bullet holders, or you are storing, transporting, and using large amounts of ammo, you will need a different type of bullet holder than those who only need to supply a few additional rounds. Knowing what you need and which bullet holder will meet that need is half the battle. Armed with that knowledge, look for the best deals for your perfect bullet holder. You want one that will look good, work well, and last a long time.